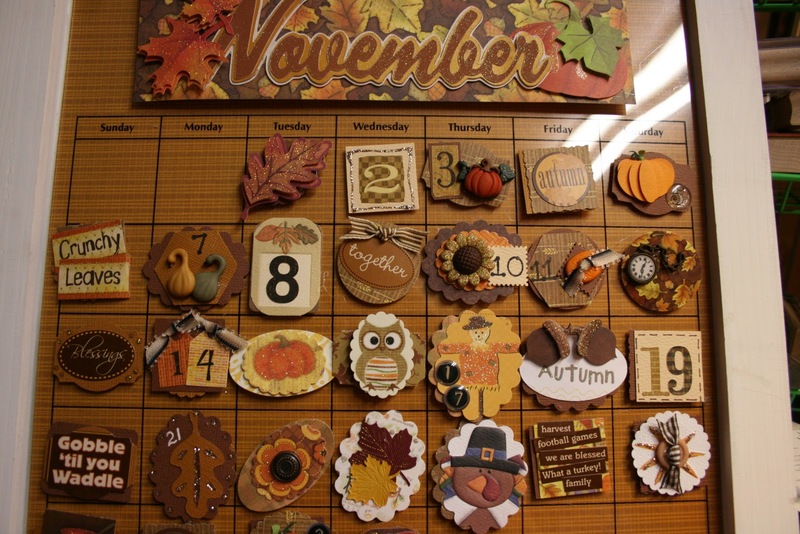 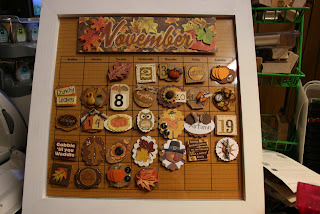 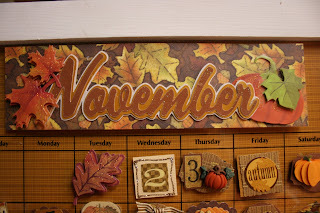 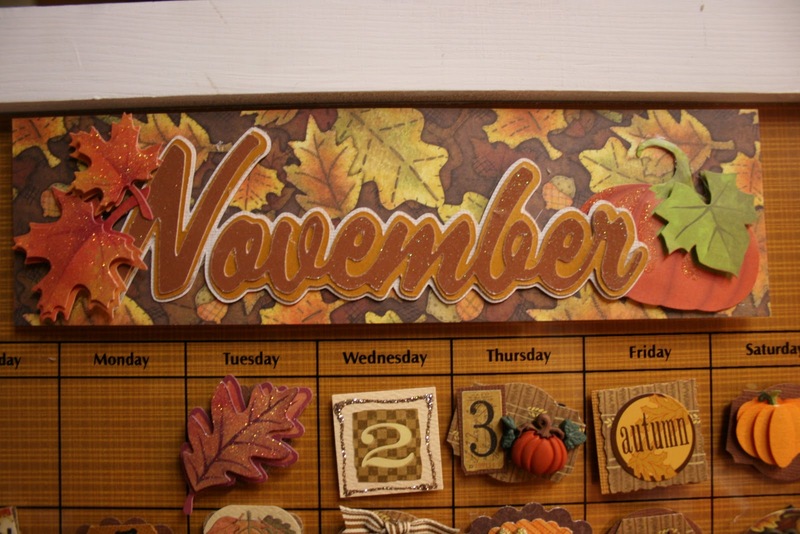 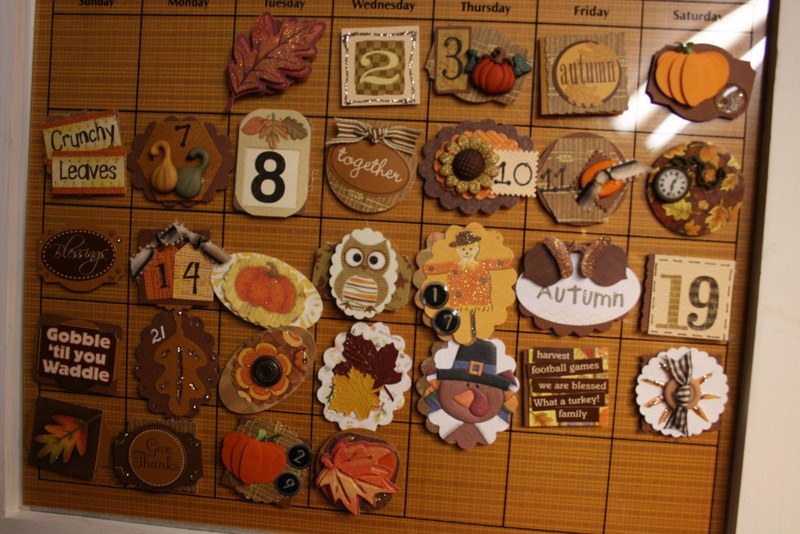 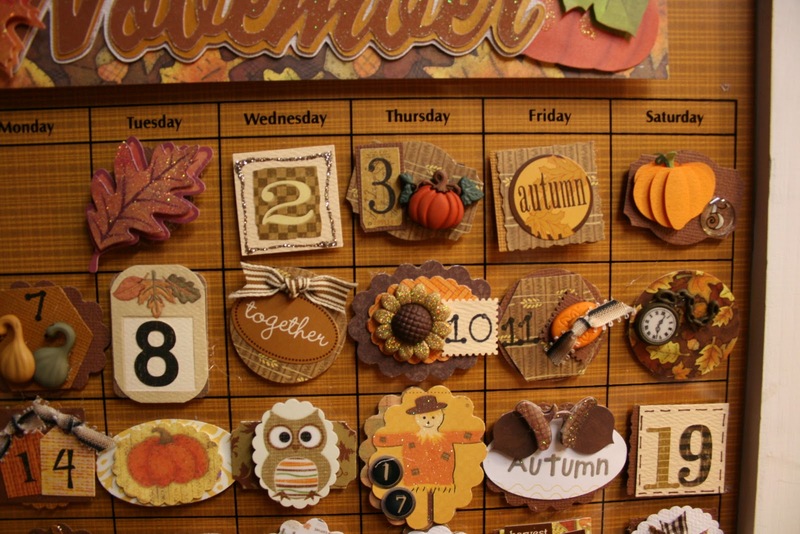 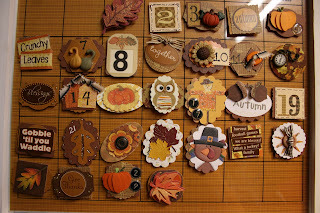 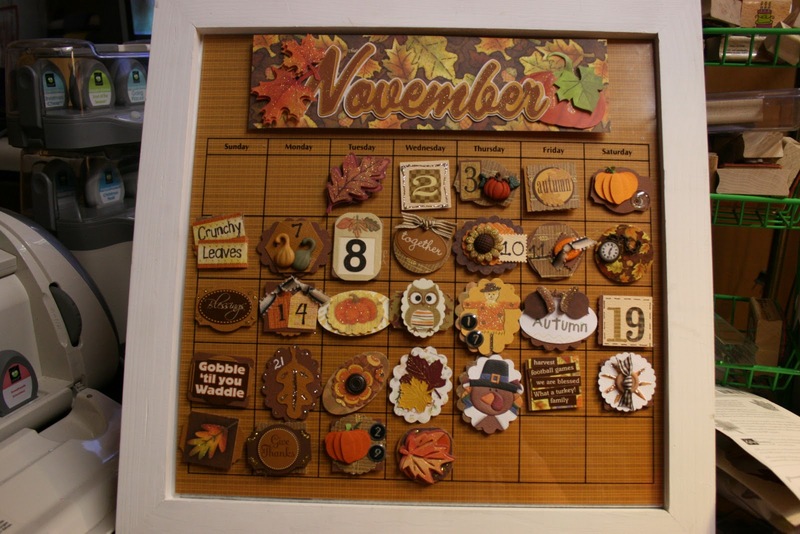 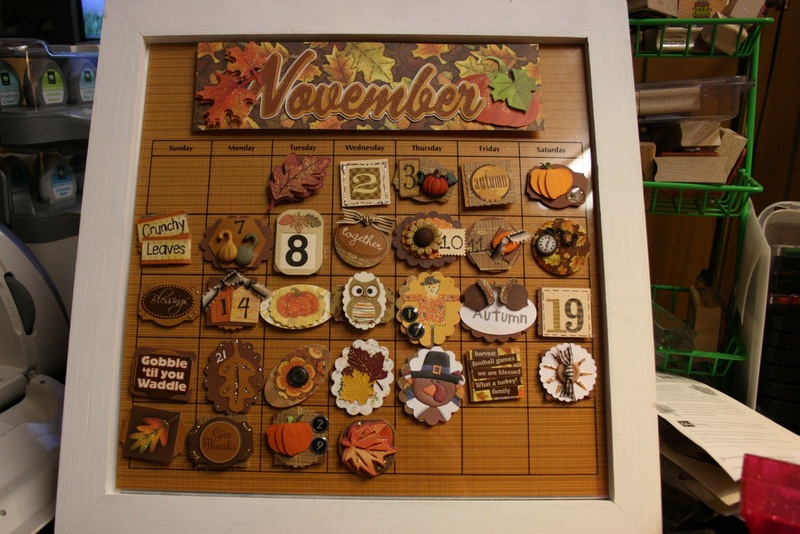 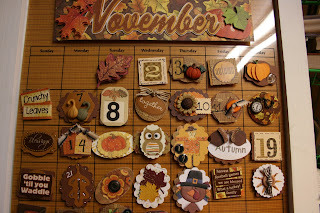 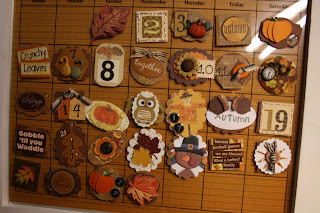 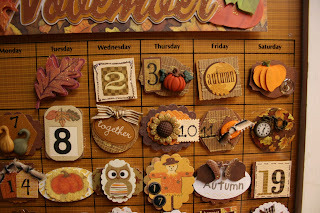 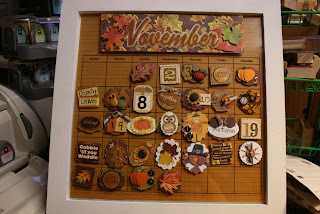 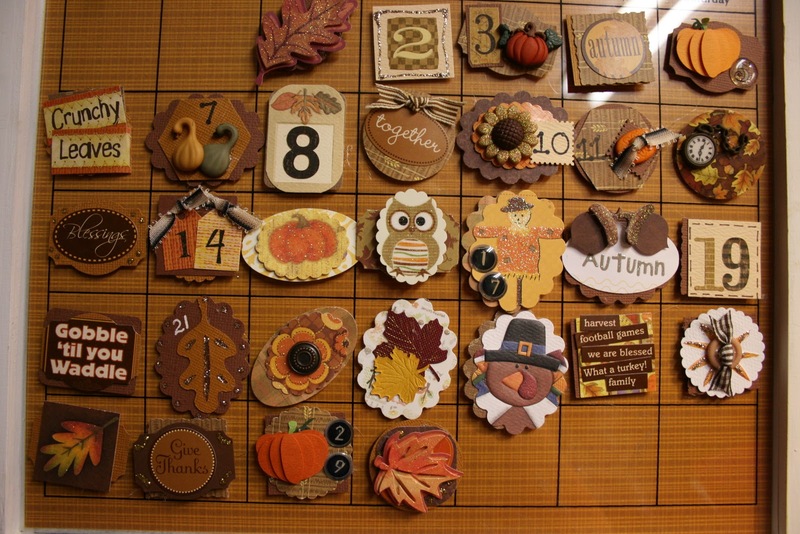 My magnetic calendar for November...Made with my cricut and scrapbook supplies...Love the colors for fall ! 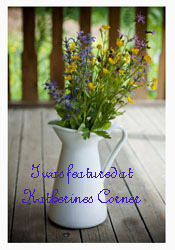 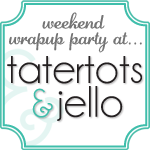 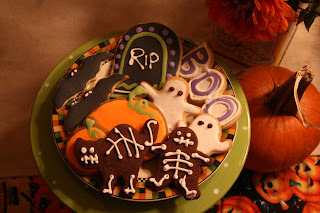 Thanks for visiting ! 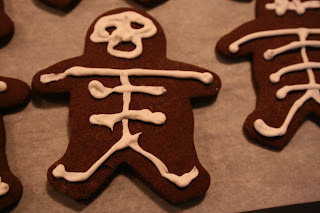 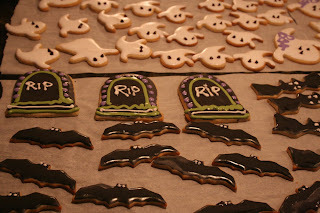 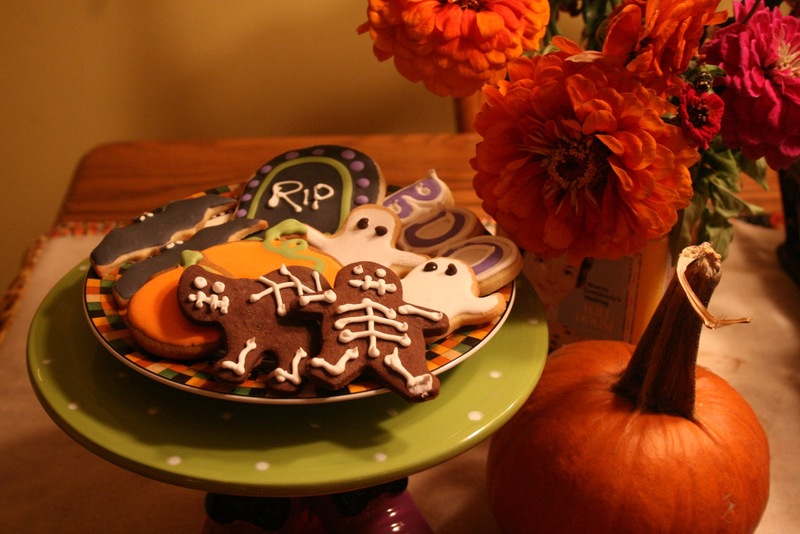 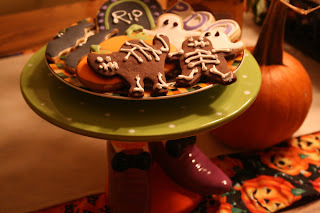 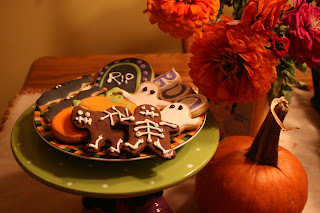 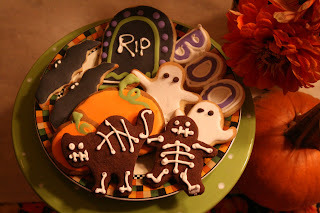 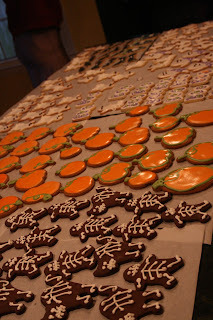 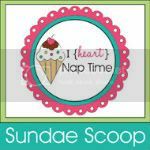 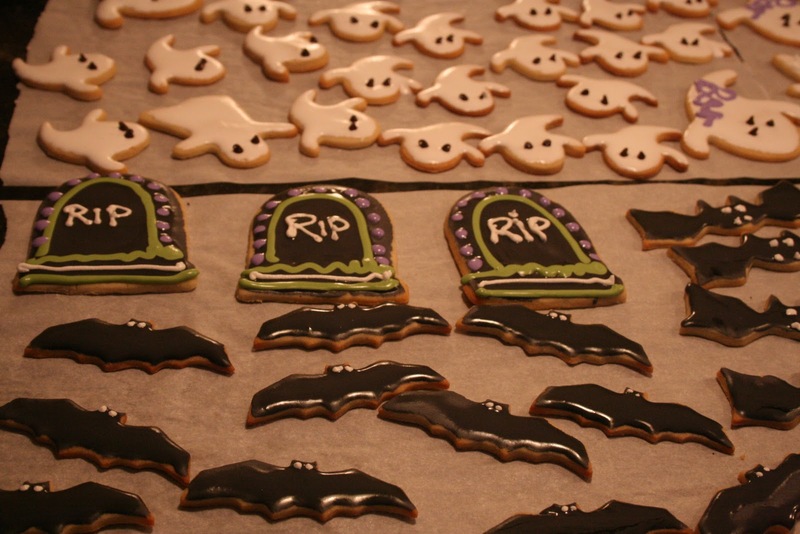 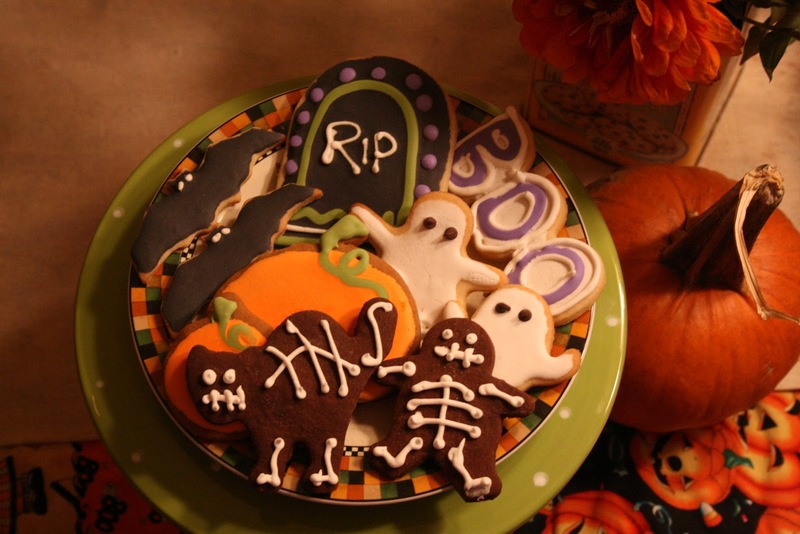 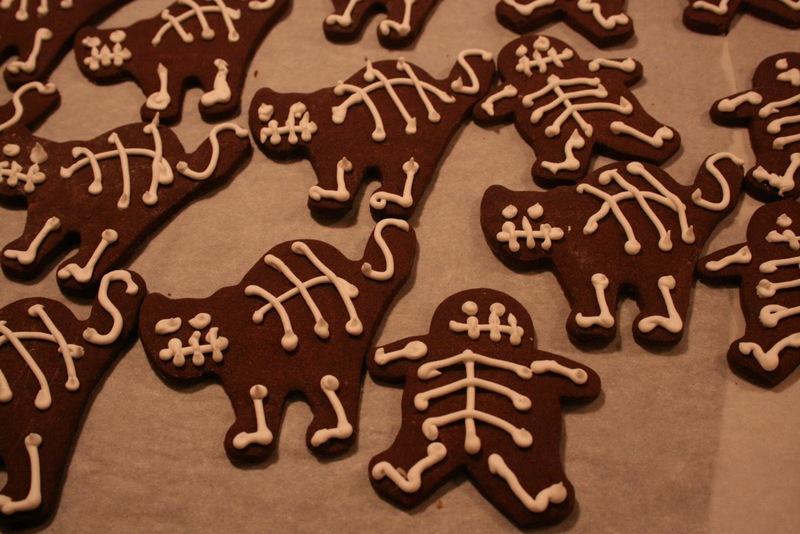 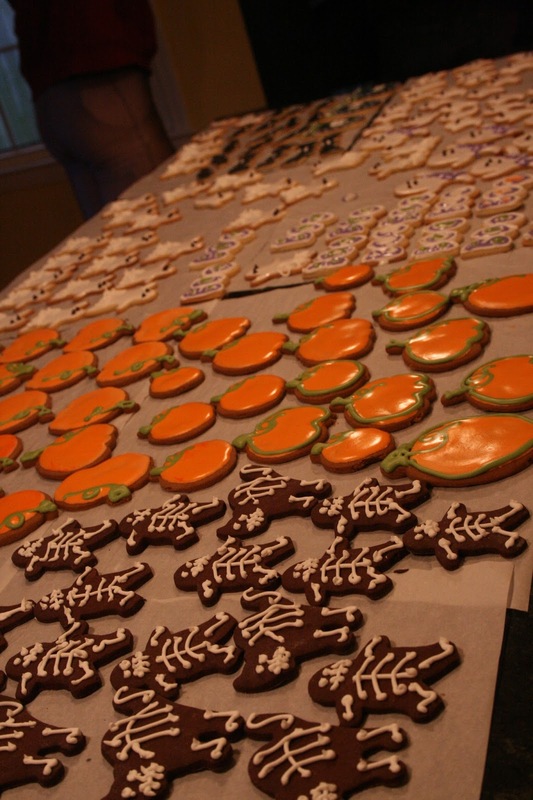 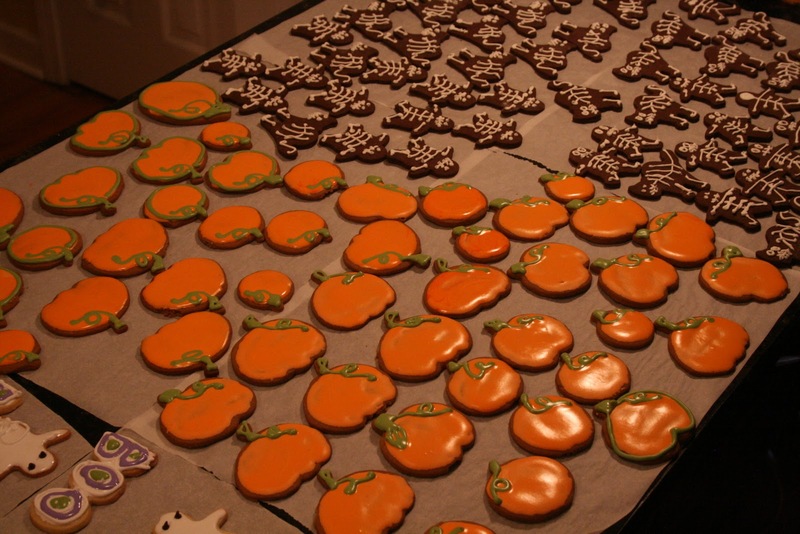 Yesterday was Halloween cookie making day at my house..I made sugar cookie ghosts,boo signs, bats and tombstones..Gingerbread pumpkins..and chocolate skeleton cats and people..I saw the skeleton cats on pinterest . 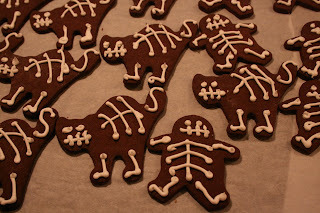 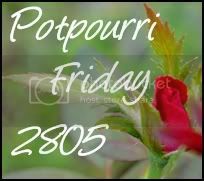 I think they are really cute! 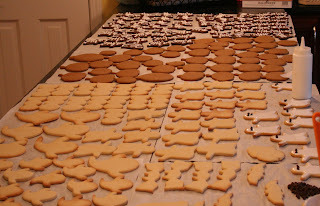 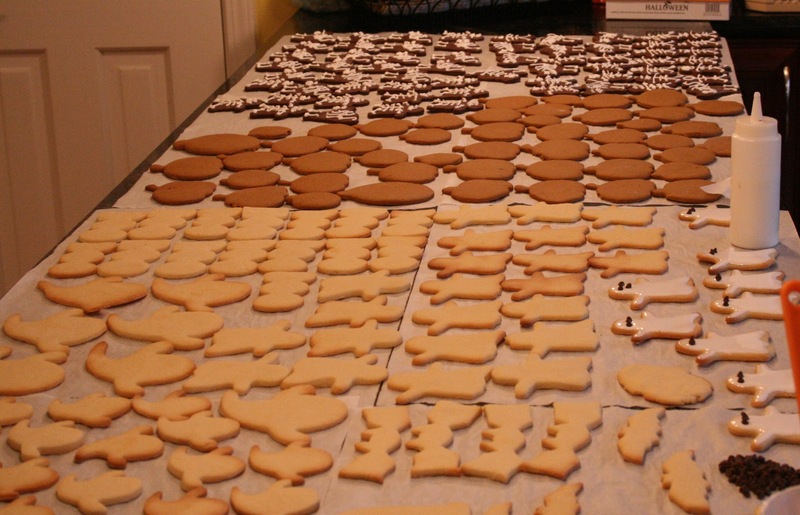 All the cookies are decorated with royal icing .Thanks for coming by ! 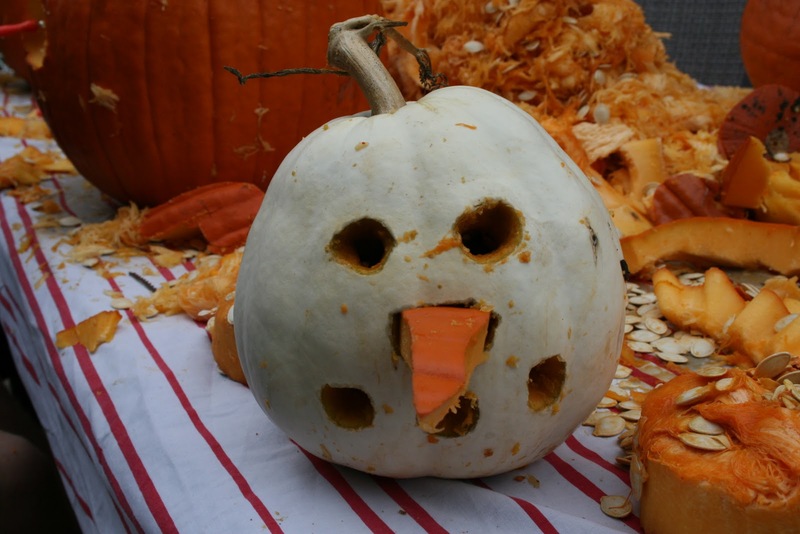 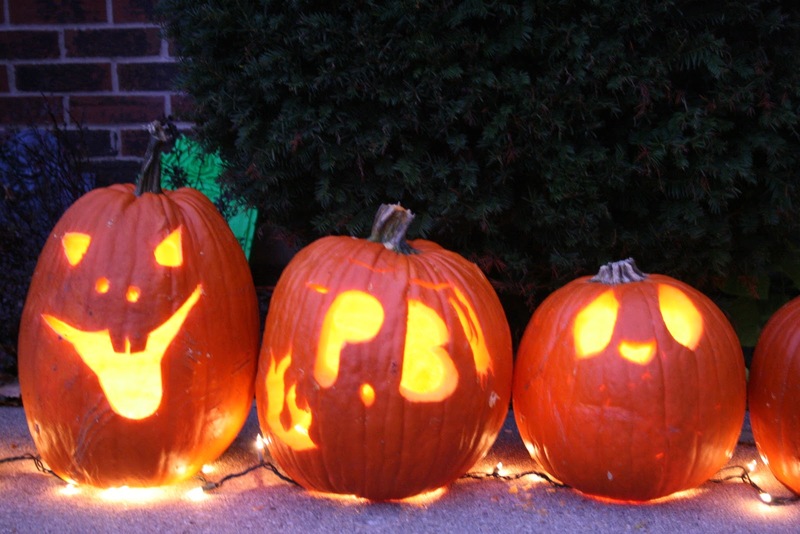 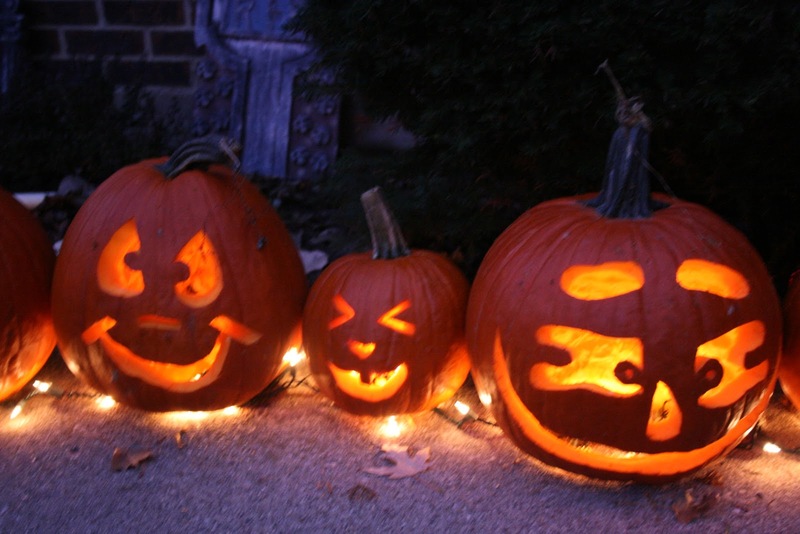 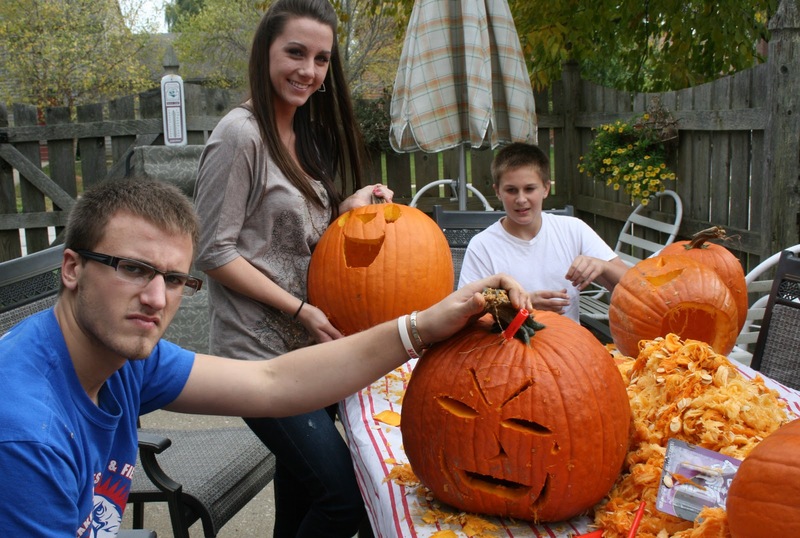 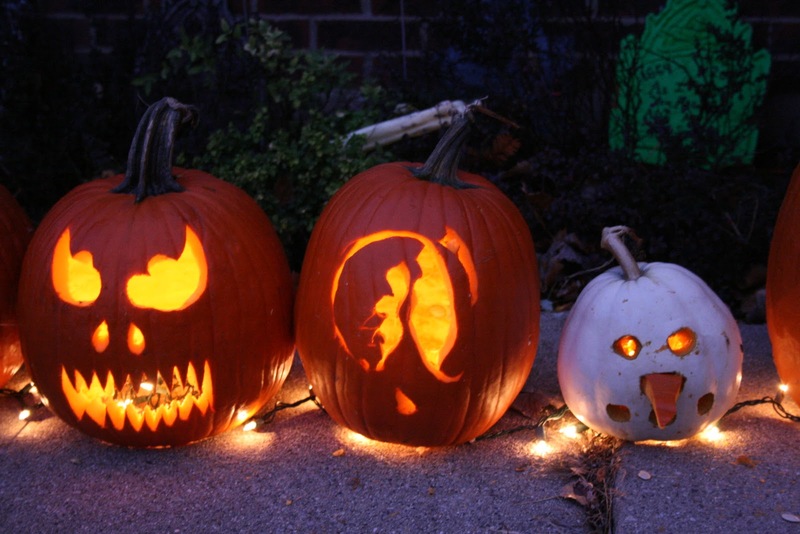 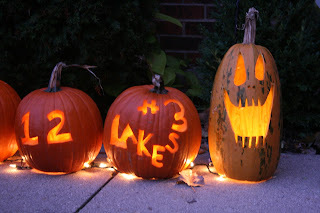 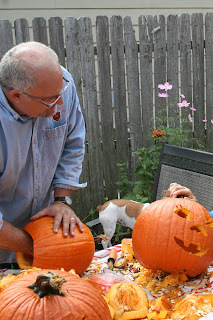 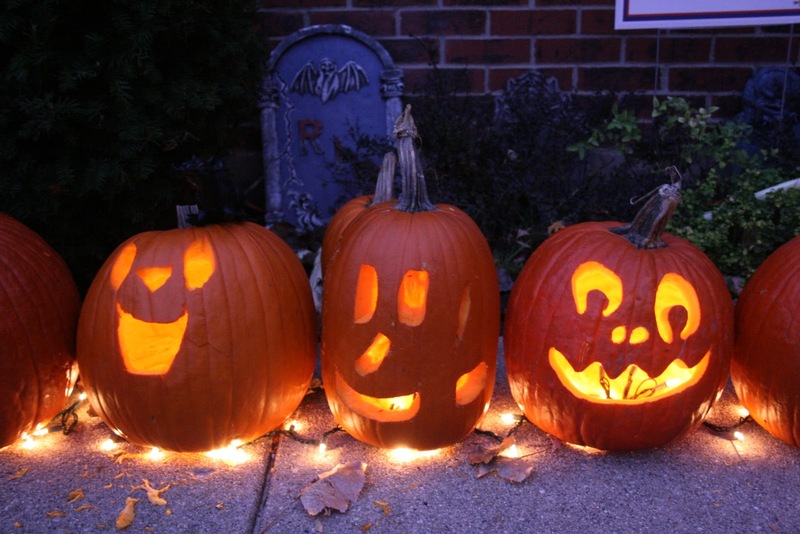 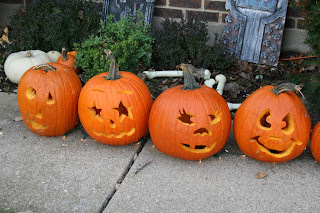 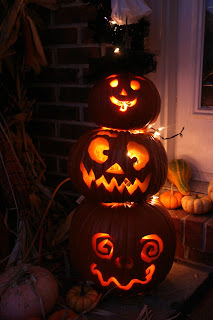 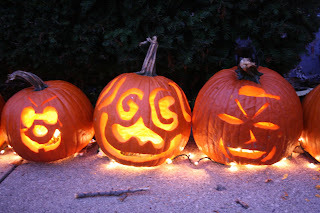 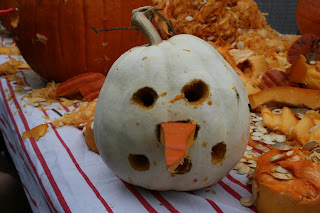 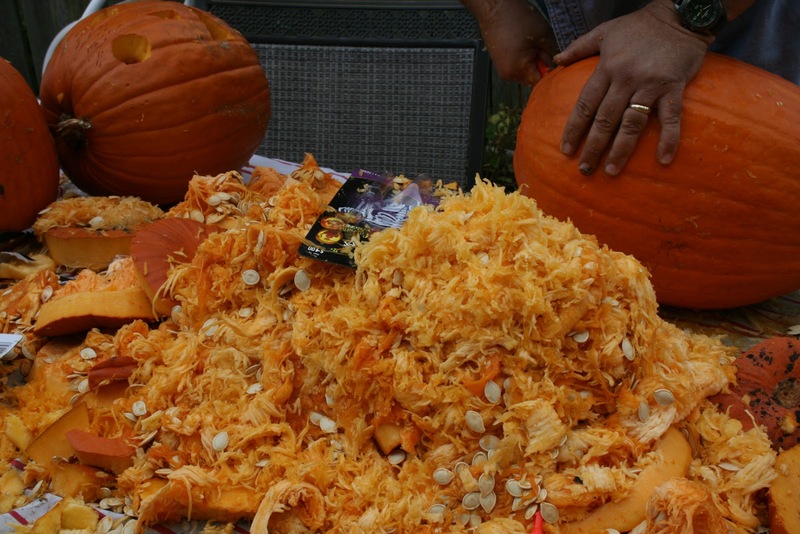 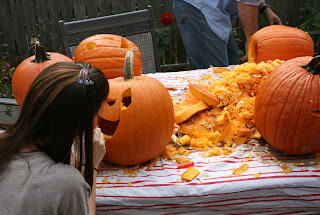 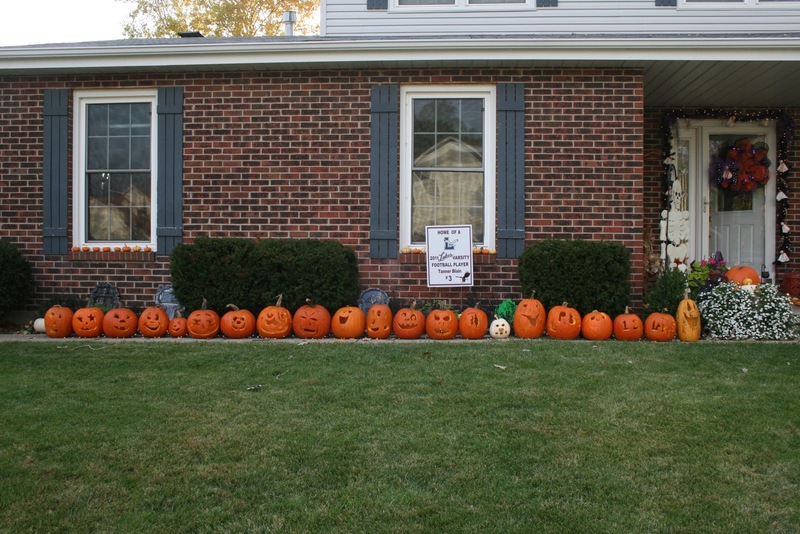 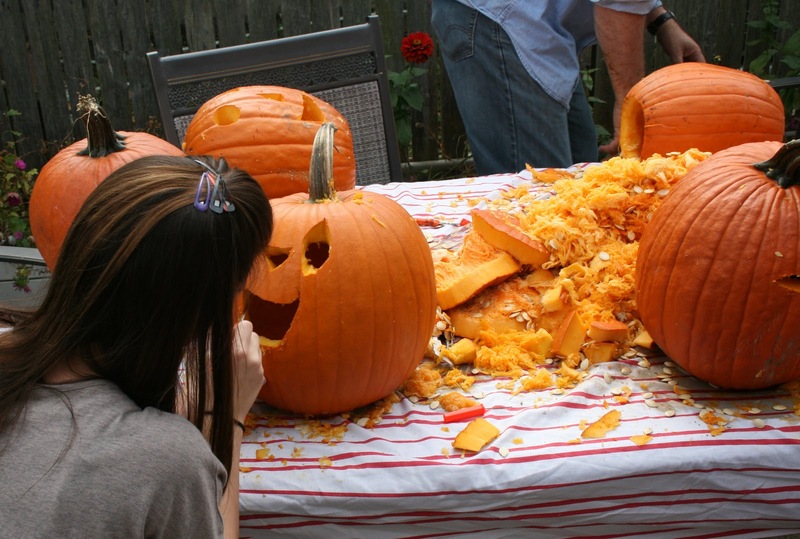 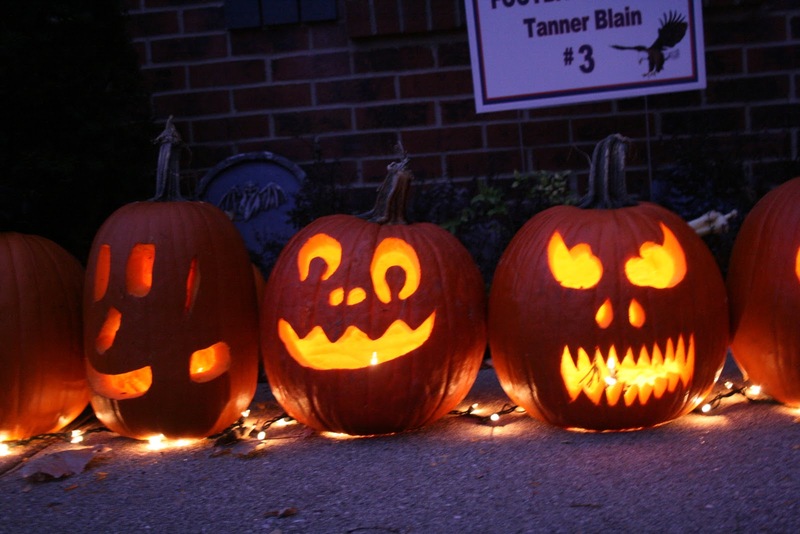 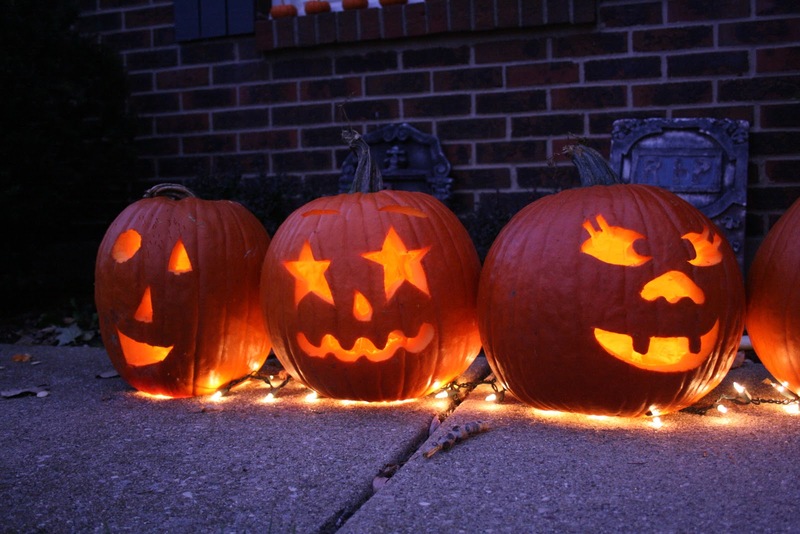 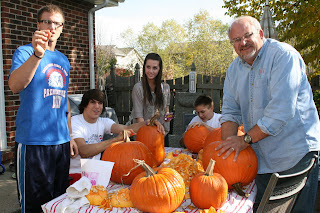 Yesterday was pumpkin carving day ! 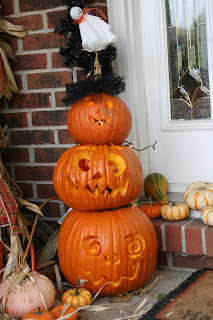 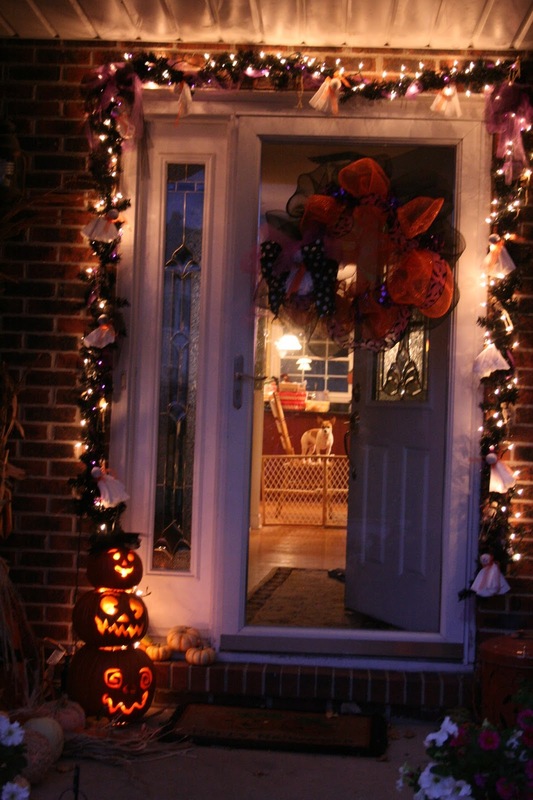 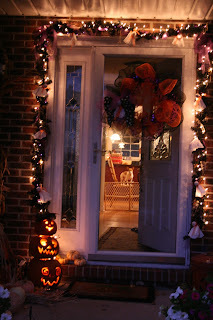 This was the first time we have done it outside...so much easier to clean up !Just put an old sheet on the table and wrap it up and throw it and the pumpkin guts away !This was the second year for making the pumpkin topiary by the front door..I think its so cute !We cut open the bottom of the pumpkins and use Christmas lights instead of candles. 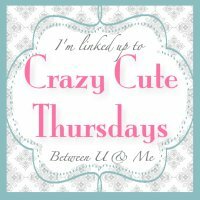 Thanks for visiting !